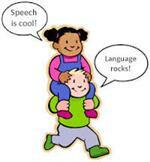 Welcome to Mrs. Goldhecht's Speech and Language Page! I'm looking forward to another great year of speech! I attended Brooklyn College where I received a Bachelor of Arts degree in Speech Pathology and Audiology and a Master of Science degree in Speech Pathology and Audiology. I hold a Certificate of Clinical Competence by the American Speech and Hearing Association for over 25 years. Additionally, I am certified in the state of New Jersey to work as a speech language specialist in the public school setting. I have worked in private practice, nursery school and public school settings. I reside in Marlboro, New Jersey with my husband and three sons. I enjoy reading, Zumba and the New York Mets and New York Jets! This will be my fifth year at Brookside School.